Dr. Stephen Leeb: Chairman & Chief Investment Officer of Leeb Capital Management – Dr. Leeb is a registered investment adviser and has been managing big cap growth portfolios since 1999. Over the last decade, his independently-verified performance record has been ranked in the top 5 percent among peers according to Informa’s PSN manager database. Dr. Leeb is a New York Time’s Best Selling author, eight books total on investments and financial trends. His latest book, Red Alert: How China’s Growing Prosperity Threatens the American Way of Life (Business Plus, 2011). Dr. Stephen Leeb is a recognized authority on the stock market, macroeconomic trends and commodities, especially oil and precious metals. As Chairman and Chief Investment Officer of Leeb Capital Management, a registered investment advisor, Dr. Leeb has been managing big cap growth portfolios since 1999. Over the last decade, his independently-verified performance record has been ranked in the top 5 percent among peers according to Informa’s PSN manager database. Dr. Leeb is also founder of the Leeb Group, which publishes a line of financial newsletters including The Complete Investor, Leeb’s Income Performance Letter, Leeb’s Real World Investing e-letter, and Leeb’s Aggressive Trader, Leeb’s Million Dollar Portfolio and Leeb’s ETF World Alert e-letter. His total readership exceeds 250,000. The Complete Investor newsletter has earned two awards for Editorial Excellence. Dr. Leeb sits on various boards sharing his strategic perspectives on financial markets and natural resources. Since 2008, Dr. Leeb has been a Director of Plain Sight Systems, a technology holding company centered at Yale University. Plain Sight owns a world-class patent portfolio in areas such as information organization/search, computational analytics, electro-optics, and spectroscopy. These technologies are licensed to Fortune 500 companies and used as part of private buyouts and venture spin-offs. listed in June 2010 on AIM (London), operating in the water management space and Deep Markets Corporation, a division of Plain Sight developing next generation risk management applications. Dr. Leeb is also Head of the Advisory Board of Leor Exploration & Production LLC (since 2006 – present) and a member of the advisory boards of Electrum USA Ltd. (since 2007) and Los Gatos. Each of these companies explore for natural resources, especially precious metals and energy. Dr. Leeb is the author of seven books on investments and financial trends. His latest book, Game Over: How You Can Prosper in a Shattered Economy (Business Plus, 2009) predicts a permanent peak in global commodity production. 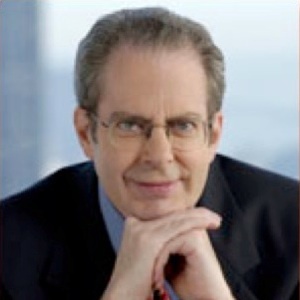 His previous book, The New York Times best selling business book, The Coming Economic Collapse: How You Can Thrive When Oil Costs $200 a Barrel (Warner Books, 2006), predicted that tightness in global energy supplies would cause the American economy to oscillate between periods of recession and high inflation this century. Dr. Leeb’s best seller, The Oil Factor: Protect Yourself and Profit from the Coming Energy Crisis (Warner Books, 2004), outlined the relationship between oil prices and stock market performance and accurately predicted the subsequent surge in oil prices. The book was rated among the top investment books of the year by Stock Trader’s Almanac 2005. His earlier best seller, Defying the Market: Profiting in the Turbulent Post-Technology Market Boom (McGraw-Hill; 1999) predicted the collapse of technology stocks and the growing importance of oil, and other hard assets during the 21st century. The book was selected by Library Journal as one of the Best Business Books of 1999. His first book Getting in on the Ground Floor (Putnam, 1986) predicted the secular bull market in financial assets and the fall in inflation. The book was a main selection of the Money Book Club. Dr. Leeb earned his Bachelor’s degree in Economics from the University of Pennsylvania’s Wharton School of Business. He then completed both a Master’s degree in Mathematics and a Ph.D. in Psychology at the University of Illinois.